VAN WERT – Tisha M. Fast, agent and owner of Tisha Fast Insurance Agency Inc., has earned the Retirement Income Certified Professional® (RICP®) designation from The American College of Financial Services. Using the most current retirement portfolio management techniques, the RICP® advisor helps to identify retirement income needs and objectives relative to the client’s lifestyle goals in retirement. Individuals who earn an RICP® designation can provide knowledgeable advice on a broad range of retirement topics including the proper use of annuities, mitigation of risks to retirement income planning, estate issues, Social Security, health insurance, housing decisions, and income taxation. Candidates for the RICP® designation must complete a minimum of three college-level courses and are required to pass a series of two-hour proctored exams. They must also have three years of professional experience, meet stringent ethics requirements, and participate in continuing education to maintain professional recertification. The RICP® educational curricula is one of the most complete and comprehensive programs available to financial advisors whose goal is to help their clients create sustainable retirement income. The rigorous three-course credential helps advisors master the retirement income planning focus area that is not fully covered in other professional designation programs. 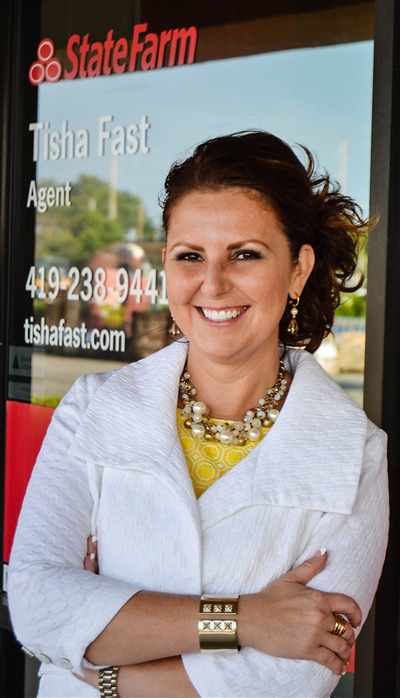 Tisha Fast has had the privilege of providing insurance and financial services to the Van Wert community for five years. She serves on various boards of organizations in the community and within her local church. Tisha is passionate about helping others with their financial goals and insurance needs. Contact her office at 419-238-9441. The American College of Financial Services was founded in 1927 and is the nation’s largest nonprofit educational institution devoted to financial services. Holding the highest level of academic accreditation, The College has educated one in five financial advisors across the United States and offers prestigious financial planning designations such as the Retirement Income Certified Professional (RICP®), Chartered Life Underwriter (CLU®), Chartered Financial Consultant (ChFC®), Wealth Management Certified Professional® (WMCP®), and education leading to the Certified Financial Planner (CFP®) certification. The College’s faculty represents some of the foremost thought leaders of the financial services profession. For more information, visit TheAmericanCollege.edu.